Dalton's Law states that, "the total pressure exerted is equal to the sum of the partial pressures of the individual gases." Two considerations of an increase of partial pressures when breathing compressed gas at depth underwater is oxygen toxicity and nitrogen narcosis. As the partial pressure of oxygen increases and we approach the maximum recreational limit of 1.4 atmospheres, we risk the possibility of seizures occuring underwater. Luckily, most divers won't be diving close to 200ft anytime soon so that risk is very minimal. However, nitrogen narcosis, a feeling of intoxication, which can lead to poor decision making among other things, can occur at a partial pressure of as little as 4 atmospheres when breathing air. Since nitrogen composes about 78% of the air we breath, narcosis management is a necessary factor to consider. One way to manage narcosis is to learn to dive on and use "Nitrox." Using nitrox has other benefits that can help a diver dive deeper, have longer bottom times, and even manage nitrogen absorption. Deciding which size cylinder to use to match your diving goals or needs can be daunting. Getting a tank with a larger volume can mean longer dives but it could also mean having a greater reserve to count on. When i first started diving i was a TOTAL air hog. Not only did i go through air like it was going out style but it seemed like everyone was getting to do really long dives. When i bought my first really large cylinder i thought i was being really smart. I'll never run out of air NOW but when i had to carry that DAMN thing around i really started to wonder what was i thinking. I got sucked into buying a low pressure cylinder first thinking that i could get more air out of it by just over-filling it. I now i know you're not suppose to do that but those were the early days and i really thought it wasn't a big deal. As time went by i was able to relax a little and my air consumption went down. What was really happening was that i was just WAY to impatient and always going to fast. It seemed a little weird at first telling myself to go slower because the only thing i wanted to do was get into the water like it was yesterday. I remember hearing people talking about air consumption but i really didn't know there was anything you could do about it. As time went by and i learned to slow down and relax i was able to cut my air consumption down by half if not more. 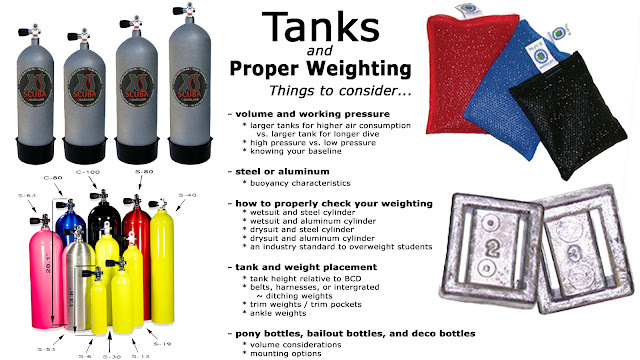 Have you had difficulties when you go diving trying to figure out how much weight to use? There's a lot more to it than just throwing enough weight on yourself until you start sinking. If you've wondered about tanks and proper weighting, please like and subsribe to my YouTube Channel and you'll be the first to learn all about it. Labels: tanks and proper weighting. things to consider. #scuba #deepdiving #jcaelitescuba https://youtu.be/g-S0L_qLuNM How deep can YOU dive? Yes, you personally? Some of the answers I've gotten are, "I won't go deeper than 30 feet." "I'm not going deep!" So... What is deep? Depth, as we'll see when we talk about dive planning and gas management, is the factor that determines if a particular dive is possible, practical, or even advised. Open Water Scuba Diving Presentation: What is SCUBA? What does Scuba mean? SCUBA is not just: (S)elf (C)ontained (U)nderwater (B)reathing (A)pperatus Understanding what this system does is not often taught in a text book. The student and I only have this short time together and the better the message becomes a part of their understanding, the better diver they WILL become. The BEST scuba diving in the world... Everyone can do it, even kids. 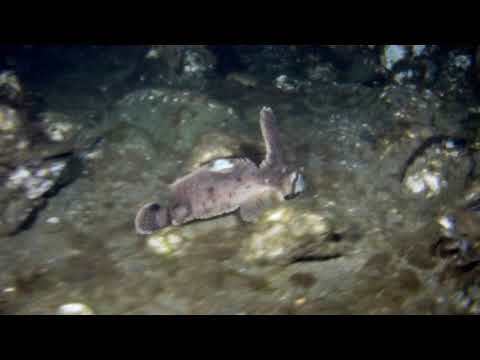 Stated to be the best diving in the world by Jacques Cousteau, diving in the Pacific Northwest (PNW) can rival and surpass most tropical destinations. One of the greatest destinations within this area is the Puget Sound. The sound boasts an amazing 1,332 miles of coastline topped only by the incredible diversity of life. There is boat and shore diving, as well as shallow dives for beginners, deep dives for the intermediate and advanced, as well as and technical dives that can challenge even the most adventurous. You'll see: Fish , Sharks, Skates, Rays, Cephalopods, Crustaceans, Shellfish, Echinoderms, miscellaneous Invertebrates, Marine Plants, Marine Mammals, as well as an incredible array of land animal and birds. Of all the animals, the Giant Pacific Octopus lives here! She is my favorite! I can take you to some of my favorite dive sites to see one! ...and did I mention that they can grow to fourteen feet long? Even if you're aren't interested in the animal life, there is an abundance of wrecks, natural and artificial reef systems, and an amazing amount of junk that is always fun to come across and discover. The PNW is also famously known for it's lakes which also boast some amazing diving opportunities. For those that might be brave enough to dive in the very coldest waters, Oregon is home to several "clear lakes." Averaging at between 35 and 43 degrees, and with unlimited visibility, it's diving that you cannot afford to miss!